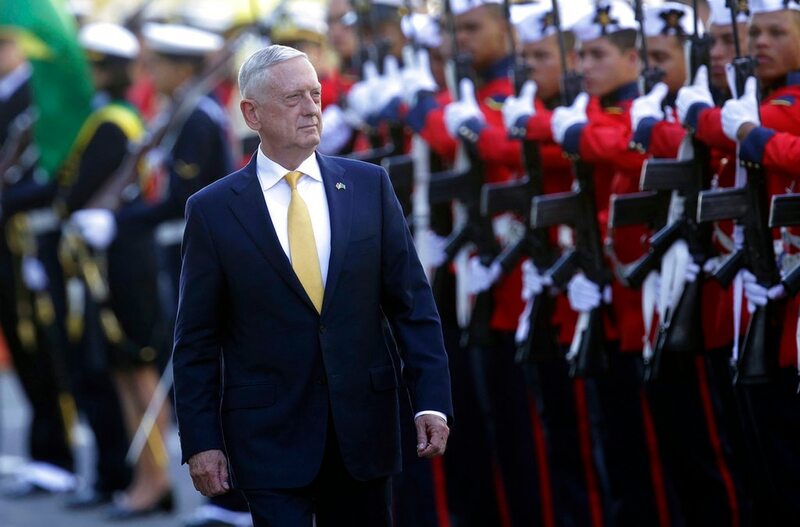 RIO DE JANEIRO — U.S. Defense Secretary Jim Mattis made a pitch on Tuesday to Brazil for building a closer defense partnership with the United States, including in space research. Speaking to military students at Brazil’s senior war college in Rio de Janeiro, Mattis encouraged them to remember and follow their nation’s long tradition of working with the U.S. military, including as allies in World War II. Mattis' visit reflected his emphasis on strengthening alliances, demonstrating U.S. concern about instability in Venezuela, and countering the influence of China and Russia. Mattis emphasized U.S. interest in partnering with Brazil in space research, an area in which China has shown growing influence in South America. The Chinese operate a space center in the Patagonia region of Argentina. "We choose Brazil not because it lies along the equator in a happy accident of geography, but because we want to work with Brazilians — our hemispheric neighbor whose values we share politically, as well as your impressive technological orientation," he said. "Others cannot credibly say the same." Mattis was referring to Brazil's Alcantara space center. It's location near the equator is advantageous for space launches because the closer a launch is to the equator, the more velocity the rocket gets from the Earth's rotation. Mattis made no direct mention of political tensions in the U.S., but he did offer what he called personal observations about defending one’s nation. "In defending our people's 'right to democracy,' keep faith as you deal with the human contradictions and the natural polarities that exist everywhere in the world," he said. "Where I come from in the American west, we have a saying: 'Ride for the brand.' It means loyalty only counts when there are 100 reasons not to be loyal. You do this daily, by imposing reason over impulse in extremely hard circumstances, and so much rests upon your shoulders." This is Mattis’s first trip to South America as Pentagon chief. He told the war college students the U.S. is “thinking long term” in Latin America. 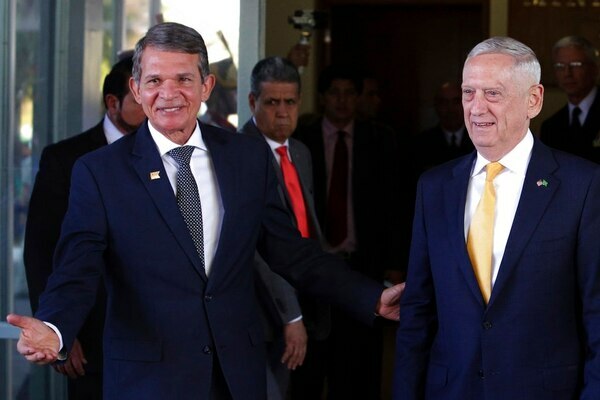 "The United States seeks to earn your trust daily; we want to be your partner of choice, especially if trouble looms - when refugee flows must be addressed, when a shipping disaster happens in a South American navy, when threats to your sovereignty or way of life manifest," he said in his prepared remarks. The Truman is back in Norfolk — but what’s next after the non-homecoming? It's the first carrier deployment of the new National Defense Strategy. During a question-and-answer session with his audience after his speech, Mattis pushed back politely against a civilian’s expression of concern that by creating a U.S. Space Force the Trump administration is opening the door to militarizing space. "We don't intend to militarize space, however, we will defend ourselves in space, if necessary," he said, adding, "We have no intention of initiating operations in space." Later this week Mattis will visit Argentina, Chile and Colombia.